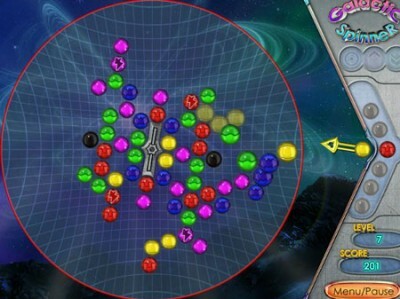 Here is a new space bubble arcade game. Travel through the mysterious galaxy, discover new planets and enjoy the lovely colors of faraway nebulae. You have to remove all the color bubbles in order to progress to the next level. Shoot two or more bubbles of the same color and they will disappear. The game has 16 levels.